Crystal Hanson is a patient woman. While she always entertained the idea of owning her own firm, she spent more than a decade honing her skills in various corporate human resources roles before making that leap. “Throughout my time in Corporate, I often wondered how small and midsized businesses handled the increasingly challenging environment of keeping up with changing state and federal laws and how they navigated complex employee situations,” says Hanson. Hanson felt she was at the point of being able to help. “While I very much enjoyed my role as HR Manager at the 3M Plant in Fairmont (the role I had before launching South Creek HR) and loved working with my peers there, I kept coming back to this long-term vision of entering the world of HR consulting, specifically to serve small and mid-sized businesses where I perceived there was a need,” she says. So in the summer of 2016, she put some feelers out. 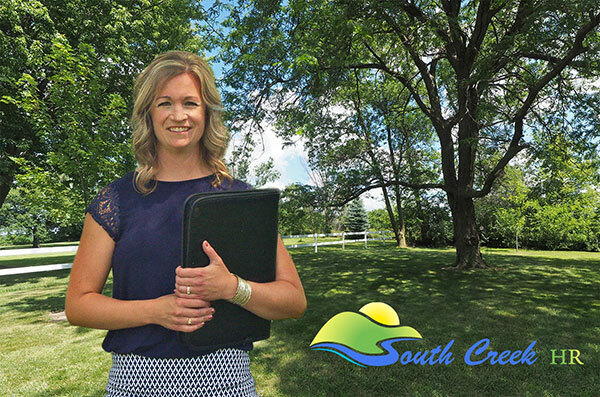 She quickly had a company come on board as a client, and South Creek HR was born. Based in Fairmont, she primarily serves the agricultural and manufacturing industries. Although she says her company is ideal for any business that has from 20 to 100 employees. South Creek HR can either act as a Human Resources Department or support existing departments in a business. She primarily serves South-central Minnesota and Northern Iowa.